Amusement parks are cash-intensive businesses, with cash exchanged at seemingly every turn. From the parking lot and front gate, to the concession stands and restaurants, to the boardwalk and gift shops, cash is still the most frequently used payment instrument overall. As such, cash management becomes a primary focus for each employee located at a point of sale. For every moment that an employee spends counting cash and dispensing change, the more money is applied to the cash management cycle, increasing overhead and labor costs. Also, manual cash transactions are rife will loss, which is usually caused by human error or, in many cases, internal theft. 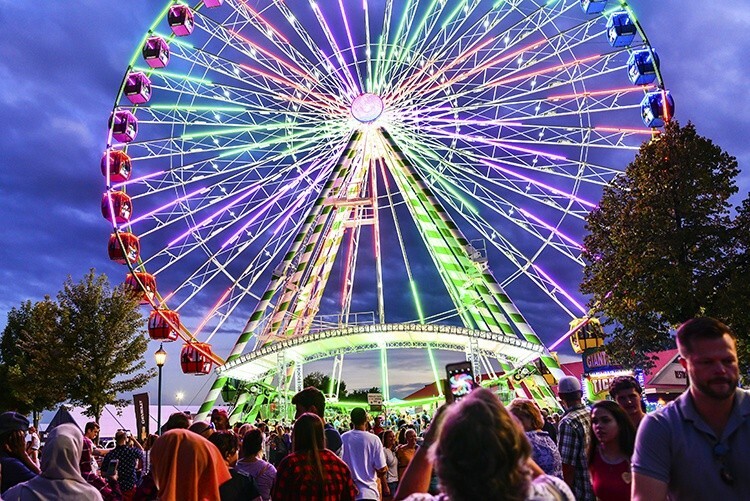 All businesses must ensure proper management of its cash to protect bottom lines, but at a facility with numerous points of sale, such as an amusement park, this accountability can be difficult. In a recent case study by Knott’s Berry Farm, a theme park in Buena Park, California, it was concluded that employees totaled 70-120 hours per day counting cash collectively. The park also reported that between 500-700 cashier tills were in use on any given day, providing many opportunities for mismanagement or theft. Further, while every dollar is important to a business, overhead costs at amusement parks can be extremely high, making every second valuable at these seasonally-dependent operations. Disneyland, for example, staffs 3,000 to 6,000 employees on any given day, with many employees making $10 to $12 per hour, equating to an estimated $396,000 per day in employment costs alone. When creating the ultimate guest experience is your business, minutes spent counting cash is not an optimal use of employee time. Point of Sale employees are in customer-facing roles, and their focused presence can improve each visit to their counter, providing the engaging, friendly and helpful customer service that can boost return visits, increase profits, and get the best return out of an investment in an employee. Freeing up employee schedules to concentrate on park guests, and eliminating the risk of mishandling cash at various locations throughout the property is critical to both the guest experience and bottom lines. Fortunately, cash recyclers can provide the accountability amusement parks need through automation. A cash recycler automatically counts and records the cash transactions processed by each individual cashier, providing an enhanced level of accountability and cash visibility that park owners can utilize to their advantage, right from the moment the system is installed. Furthermore, cash recyclers can accelerate the processes pertaining to the checking out of registers to all employees starting their shift, as well as the checking in of tills when their shift is over. Since the recycler keeps a record of all registers checked out, it offers better overall visibility to each point of sale throughout an entire site—something not easily tracked via manual cash management processes in properties as large as an amusement park. This level of automation also negates the need to have multiple employees in the park’s centralized cash room, where they typically spend countless hours counting money, reconciling till balances, investigating discrepancies, and preparing deposits. Instead, these employees can be redeployed to where they’re needed most – out in the park, helping customers and promoting the park’s brand. While credit and debit cards and mobile payment systems continue to become more common, physical cash is still widely used. According to findings by the Federal Reserve in 2018, cash was used in 30% of all monetary exchanges in 2017, with more individuals holding cash than in previous years. As the cash in each visitor’s hand increases, today’s modern amusement venues must be able to efficiently manage these transactions or risk declining revenues. Antiquated manual cash processes are prone to error and theft and are labor intensive. Cash recyclers, however, increase overall accuracy and accountability, allowing entities to refocus staff activities from cash-associated tasks to better promote visitor engagement. Used in countless businesses where large sums of cash are handled, Tidel cash management solutions can enable amusement parks to efficiently, securely and accurately manage their cash, helping to improve guest experiences and overall performance while enhancing bottom lines. To learn more about Tidel’s vast portfolio of cash recyclers, visit https://www.tidel.com/recyclers/today!